Always attack first, no threat or ranking algorithms. Attack based on ranking and threat algorithms. Never move unto tiles that can be attacked. Move based on threat and victory algorithms. Based on threat and victory algorithms. 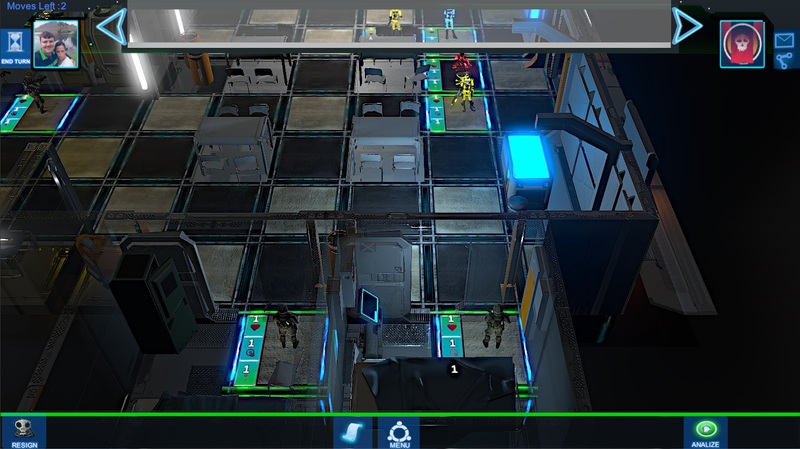 By offering the player a tweakable AI, it encourages the creation of extremely interesting and challenging layouts. 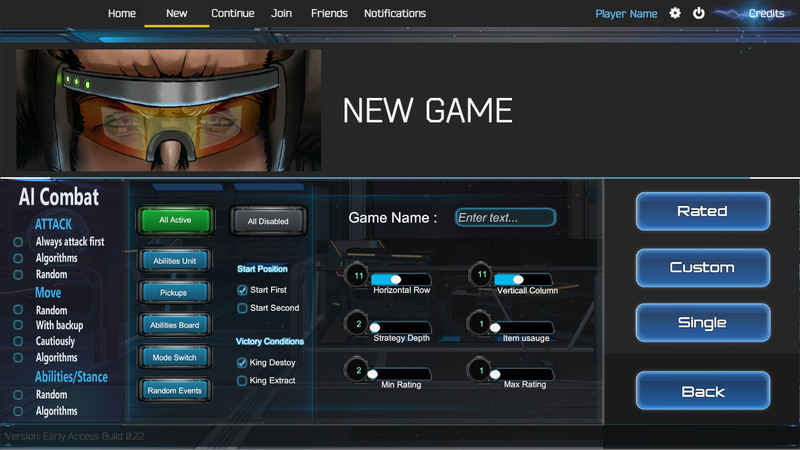 The AI has been structured to allow the player to change different behavioral stats of the AI, when creating a game.